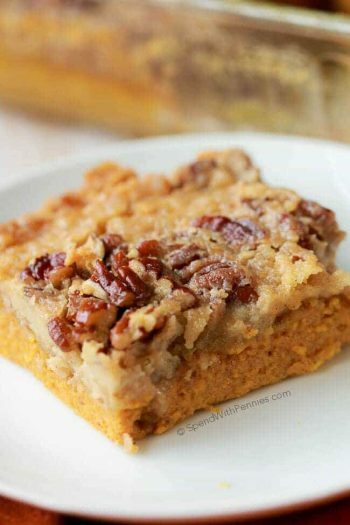 Chocolate Pecan Pie Bars are one of our favorite treats! 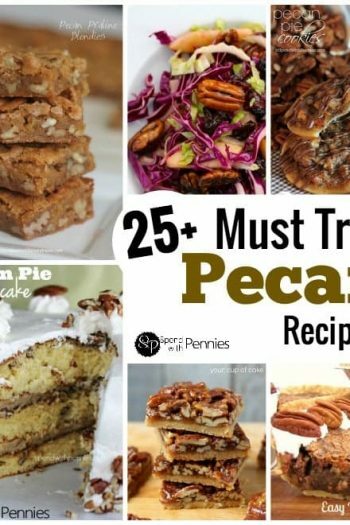 We love pecan pie around here (and honestly, what’s not to love?!)! 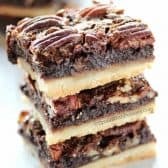 This easy recipe transforms pecan pie into ooey gooey chocolatey squares that are totally irresistible! 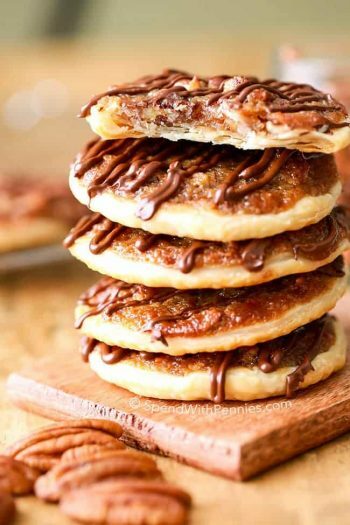 Every person who has tasted these has requested the recipe! 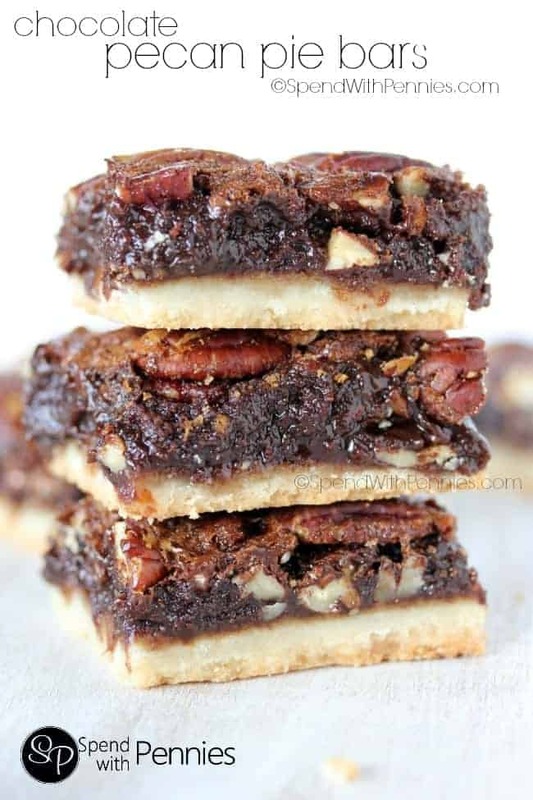 These squares start out with a buttery shortbread crust which is then topped with a decadent chocolate pecan filling! I make the filling on the stove top but you can also microwave it for about 2 minutes if you prefer. You want the chocolate just about melted when you remove it from the microwave. Preheat oven to 350 degrees. Line a 9x13 pan with foil and spray well with cooking spray. Combine crust ingredients with a mixer on medium until crumbly. Press into prepared pan. Bake 20 minutes. Meanwhile, heat corn syrup and chocolate over low heat just until the chocolate is almost melted. Remove from heat. Combine sugar, eggs, almond extract and vanilla extract. 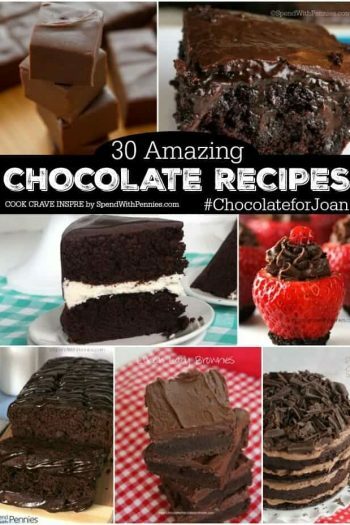 Whisk into the chocolate mixture. Fold in pecans. Pour pecan mixture over crust. Combine topping ingredients and sprinkle over top. Bake 35 minutes or until edges are firm and center is still slightly soft. Cool completely. Hi Holly!! 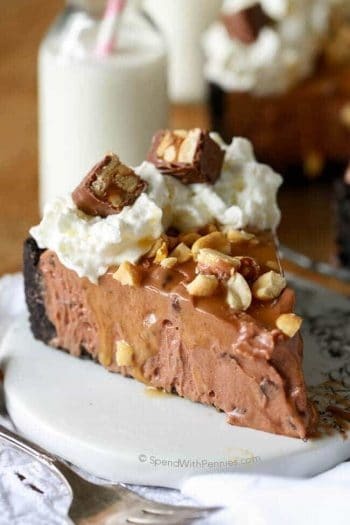 I would love to make this recipe but I can’t find corn syrup where I live. Can it be replaced with something else? Thank you!! 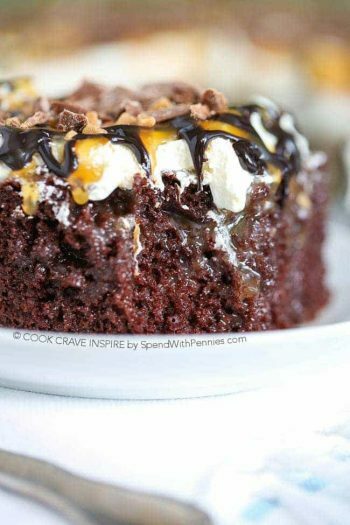 I have only tried this recipe with corn syrup as written so I’m not sure what else you could replace it with. Wonder if I could add some chopped maraschino cherries as well? I think that sounds like a delicious idea Joyce! 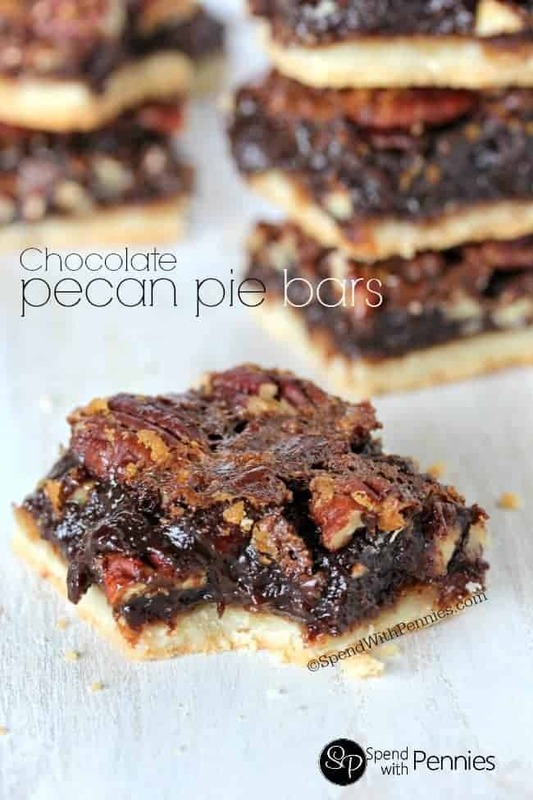 This recipe for The Chocolate Pecan Pie Bars Recipe looks and sounds delicious. I wanted to put save it on Pintrist but I cannot do it. Can You recommend something, please? Oh my goodness I can already taste this awesome Chocolate Pecan Pie Bar. Hope you are having a great day and thanks so much for sharing with Full Plate Thursday this week. I love these!! I make something similar, and you’re right, they are a hit with everyone! Great recipe!